Brexit: Could it happen and what is at stake? On the 23rd of June, UK voters decided whether Britain should remain a member of the EU or not. 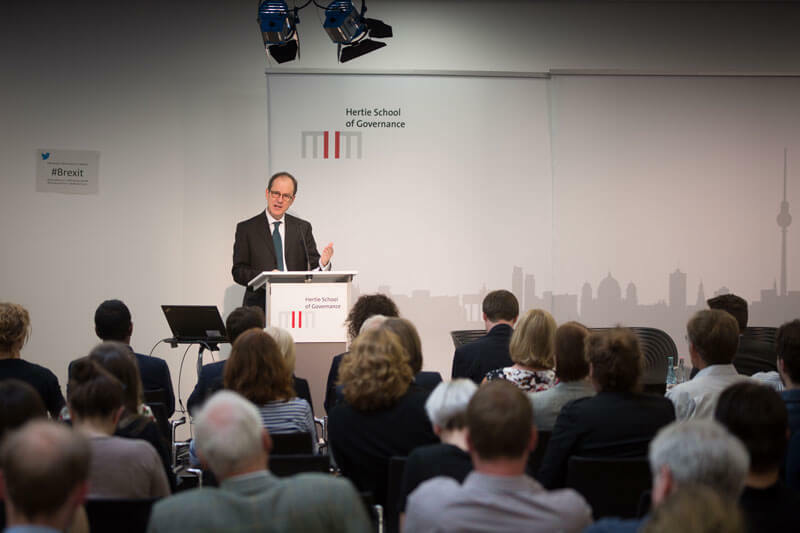 Ahead of this, the Hertie School held a round-table discussion to probe some of the underlying themes and issues. What was the British public really voting on and which issues drove the domestic debate about Europe in the UK? Likewise, the political coordinates of Britain’s EU vote as well as the consequences for the EU of David Cameron’s deal on re-negotiating the terms of UK membership were discussed. A diverse panel of participants from the UK and Germany considered what could be at stake for Germany, Britain and the rest of the EU in June’s momentous referendum.